Liu was quick to shine, winning the bronze medal at the national Youth Championships over 5000m Walk already the following year, in April 2003. In 2004 she made her debut in the Chinese leg of the IAAF Race Walking Challenge, placing 12th over the senior 20km distance on 23 May in Kunshan, but then failed to medal again at the national Youth Championships, in September, with two fourth places over 3000m and 5000m. In 2005, Liu captured her first national title, winning the national Junior Championships, in Nanning in February, before improving to tenth in the Chinese leg of the IAAF Race Walking Challenge, in Cixi in April. 2006 was to be her breakthrough year. 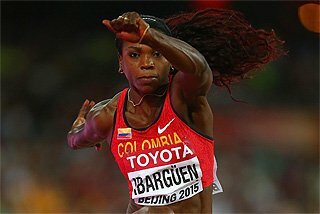 She first placed seventh in the first leg of the IAAF Race Walking Challenge, in Tlalnepantla de Baz, Mexico, before improving to third in the home leg in Yangzhou, and taking part in her first major championships. 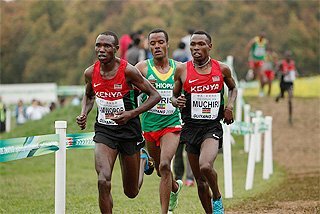 “I competed in my first international championships in May 2006, when I finished sixth at the World Cup in La Coruña in the 20 km senior race and then I went on to win the World Junior title on home turf in Beijing, in 2006, over the 10,000m distance,” continued Liu Hong. 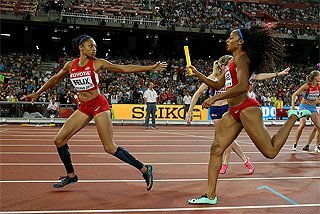 In Beijing she took a comfortable win in 45:12.84. Liu Hong shared the lead with Russian Tatyana Shemyakina from the halfway mark before breaking away with one kilometre to go. At the bell she increased her gap to 50 metres and then went on to cross the finish line ahead of the Russian, who was runner-up in 45:34.41, while pre-event favourite Vera Sokolova had to settle for fourth place. Later in the year she capped her excellent season by winning the Asian Games, in Doha in December, over the 20 senior distance, setting a new Asian Games record of 1:32.19. After a great Junior career, Liu graduated to the senior ranks in 2007, celebrating it with a victory in the Chinese leg of the IAAF Race Walking Challenge, in Shenzhen in March, before making her debut at the World Championships, in Osaka, where she finished 19th at the age of 20. One year later, in 2008, the young Chinese walker finished fourth at the Olympic Games in Beijing in 1:27:17, behind her current training partner Elisa Rigaudo, missing the bronze medal by just five seconds in a race held in torrential rain. Despite the weather conditions, it was an outstanding race with the top nine to cross the finish line dipping under 1:28 and the first twelve finishers under the previous Olympic record. 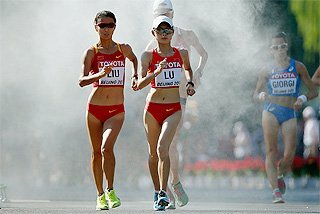 In 2009, after warming up on the IAAF Race Walking Challenge with a third place on home soil, in Wuxi in April, and an eighth spot in La Coruña in June, the Chinese walker secured her first major senior global medal at the IAAF World Championships, in Berlin, where she finished third in 1:29:10 behind Olga Kaniskina and Ireland’s Olive Loughnane. While Kaniskina secured her second world title and the third global gold medal, considering the Olympic win in Beijing one year earlier, Loughnane and Liu Hong engaged their battle for minor medals walking side by side. The Irish walker pulled away from Liu in the final 5 km. Liu became the first Chinese medallist at the World Championships since Liu Hongyu led a Chinese double ten years earlier in Sevilla. Liu Hong capped a succesful 2009 season by winning the Chinese National Games title, on 24 October in Jinan, with 1:28:11 despite warm weather conditions. In November 2009, Liu Hong started working with Italian coach Sandro Damilano, who began working for the Chinese Federation. 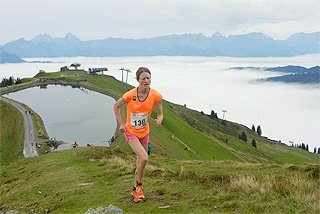 Her 2010 season began in March with a win in the National Championships, followed by a disappointing 13th place in the World Race Walking Cup, In Chihuahua mid-May. Two weeks later, she bounced back to take third place in the Kraków leg of the World Race Walking Challenge in May over 10km, followed by a sixth place over the traditional 20km in La Coruña in June. 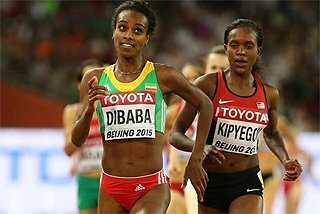 Her second place at the IAAF Race Walking Challenge, in Beijing in September, in the 10 km in her PB of 42:30, was enough to take the win in the final ranking of the IAAF Challenge and the first prize of 30,000 dollars. Liu capped a successful 2010 season with her second consecutive Asian Games title, in Guangzhou, with 1:30:06 on 23 November. Liu Hong got off to a flying start in the 2011 season, with a first win in Genova over 10km, followed by another over 20km at the Memorial Albisetti in Lugano in 1:29:28, setting a new course record. Liu Hong went on to take two more wins at the IAAF Race Walking Challenge events in Taicang, in China and Dublin. 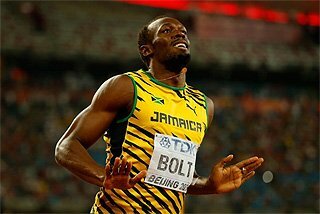 “In Taicang I equalled my PB with 1:27:17, the same time clocked at the 2008 Olympic Games in Beijjng”. It was a high-quality race, as second placer Li Yanfei, 2008 World Junior Championships bronze medallist, set a new PB with 1:28:43. 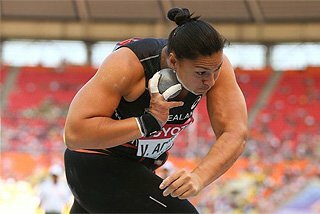 At the 2011 World Championships, in Daegu, she was one of the favourites for the podium and fulfilled all expectations by taking the silver medal, which improved on her bronze medal won two years before in Berlin. Kaniskina won her third consecutive world gold medal by 18 seconds over Liu in 1:29:42. The Chinese walker took a re-match against her training partner Elisa Rigaudo, who had beaten her for the bronze medal at the Olympic Games in Beijing and finished fourth in Daegu. The hard work with her Italian coach, Sandro Damilano, who has been working for the Chinese Federation since December 2010, bore its fruits. Damilano, who won 46 World, Olympic and European medals with his athletes during a very successful coaching career and worked for the Italian Athletics Federation until 2010, has been working with his athletes on improving the walking technique of Chinese walkers. At the start of the 2012 season Liu Hong again tested her shape at the Trofeo Ugo Frigerio, on 26 February in Genova, where she won with the greatest ease in 44:10 over 10km, beating her compatriots Li Yanfei (45:05) and under 18 walker Ni Yuanyuan (46:22). At the Taicang IAAF Race Walking Challenge event on 30 March 2012, Liu Hong clocked 1:25:46 to score her second consecutive win in the venue of the 2014 World Cup. She broke Wang Yan’s 1:26:22 Asian record, which had stood for more than ten years since November 2001. Her time smashed her previous 1:27:17 PB, set at the Olympic Games in Beijing. Liu Hong was among the favourites for the World Race Walking Cup and travelled to Saransk to challenge the Russians in their home, but finally did not compete due to a small injury she had sustained in the last days of training. She came back the following month with a win in the La Coruña leg of the IAAF Race Walking Challenge, where the Russian armada was absent. She missed out on a medal at the 2012 Olympic Games in London, finishing fourth in 1:26:00 behind her compatriot Qieyang Shenjie who became the first ethnic Tibetan to compete and win at the Olympic Games. In London Qieyang Shenjie broke Liu Hong’s Asian record clocking 1:25:16. Liu Hong bounced back winning the IAAF World Race Walking Challenge Final in Erdos, Inner Mongolia in September 2012. She was the biggest favourite and lived up to her reputation by winning in a solid 43:18 in the 10 km. She scored the first non-Russian win since the 10 km distance was introduced in the World Race Walking Challenge 2009. She finished the 2012 season on a high note breaking the long-standing 5 km Asian record held by Jin Bingjie since 1990 by three seconds clocking 20:34.76 at the Chinese National University Games in Tianjing. The Chinese star got off to a good start in 2013 by winning the 20 km race at the Memorial Albisetti in Lugano for the second time in her career in a fast 1:27:06 in rainy weather conditions improving the previous race record held by Russia’s Tatyana Sibileva who clocked 1:28:03 in 2012. Liu Hong won her third consecutive IAAF World Championships medal when she finished third in Moscow in the 20 km race in 1:28:10 behind Russian walkers Yelena Lashmanova and Anisya Kirdyapkina. “The Russian walkers were very strong. My goal before the race was to win a medal. In the final three kilometres I was confident that I could achieve my goal. 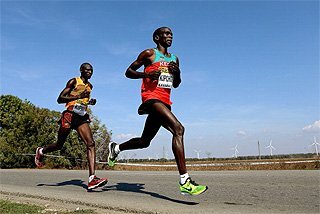 I am very proud to finish third as no Chinese walker had won three medals in three consecutive editions of the World Championships before,” she declared after the race. “Lugano was a good race but the World Cup will be different as I will have more pressure. 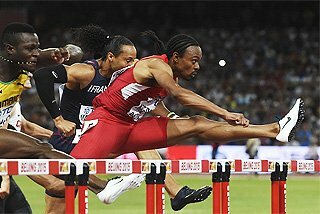 It was a very competitive race against very strong athletes. 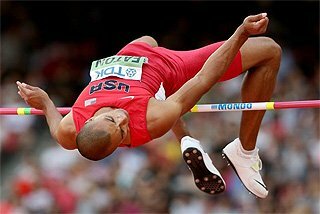 I am surprised because I had just 40 days of training after recovering from a serious right knee injury and I stopped training for two months. I started my preparation in January. 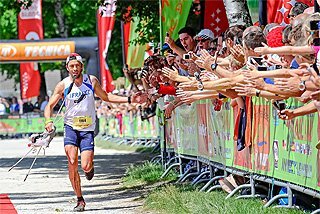 I am happy to win my third race in Lugano. It was easy to keep my speed and follow the pace of my rivals”, said Liu Hong. The Swiss race was a confidence-booster in her build-up the World Walking Cup in Taicang where she set her personal best in 2012 with 1:25:46. “Taicang is a lucky place for me as I set my personal best. I have confidence about competing in this venue”, said Liu Hong.